Ombre and Balayage hair color is still hotter than ever at Educe Salon, the best hair salon in Orlando! The word ombre comes from the French word “shadow.” Ombre is the actual style. It is the transition of a lighter shade from a darker shade. Ombres work best on brunettes because it is the least subtle of all the techniques, a Sombre is what we would see on blondes. That technique is more subtle, hence the word sombre. 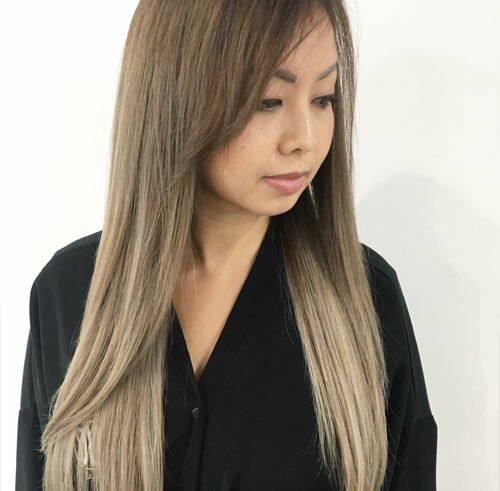 Ombre hair color has gained popularity across the nation and has quickly become a look every stylist must know how to achieve to please the ever-changing and growing styles within the hair industry. The French-termed hair trend features darker, more natural tones at the root area gradually fading into lighter tones on the ends. This look can be anything from very dark at root area fading into very light for a more dramatic look, or it can be subtle and soft. Both are trendy and look great it just depends on your taste and style. Finally, it’s a trend that doesn’t require a busy woman of today’s world to run to the salon every six weeks for an expensive touch-up! We do recommend you still come in and get a color gloss or toner to maintain the amazing tones your stylist initially intended. Whether that be muted ashy or gray tones, gorgeous buttery blond, Golden copper tones, or fire red, these all need to be done every 6-8 weeks depending on how much you wash your hair. All tones fade, and unfortunately, they tend to fade Rather quickly, no matter what color line your stylist uses. Since both Ombre and Balayage are hand painted effects, your choice of Hair Stylist will affect how awesome, or not so awesome; your color turns out. The Hair Stylist skill, education, and experience all come into play. At Educe Salon in Orlando FL, our staff is professionally trained in how to achieve the best Ombre for your hair. Educe salon Orlando fly’s in different National L’Oreal Professionnel artists from all over the world numerous times a year to give our staff the best training available. Our team here at Educe has expressed that these classes are life changing for our stylists and that they learn how to do these techniques the “right” way and learn more with every class we have at Educe Academy as we evolve and train consistently. 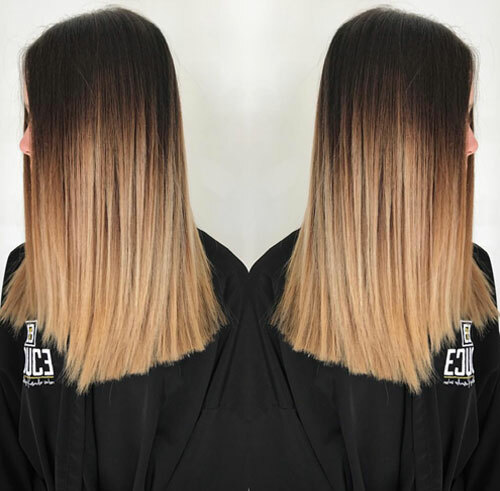 For the best ombre in Orlando, balayage in Orlando, or a S’Ombre (a mixture of the two), please call Educe Salon today, we can not wait to change your life by giving you the best color service of your life! Call Educe Salon today, send an email if you have any questions or you can even book online after you have read our team bios and pick out the perfect stylist for you. Still not sure on which stylist you want to see? Start here and contact our front desk team, we will pair you with the right hair stylist based on your needs, expectations, budget, and style.